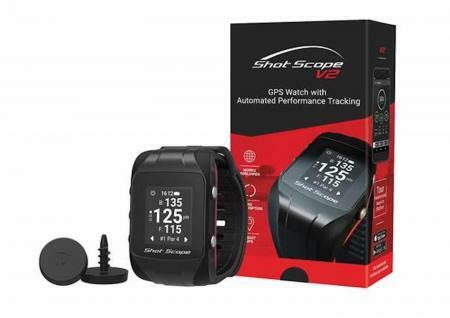 Shot Scope Technologies are releasing a variety of new interactive social features to both their web dashboard and apps, giving golfers a truly immersive way to track their golfing journey. Following a sell-out pre-order campaign, Shot Scope V2 will now be able to meet the huge demand - which attracted orders from 38 countries - as customers can purchase the pioneering new model online for the first time since the end of November. 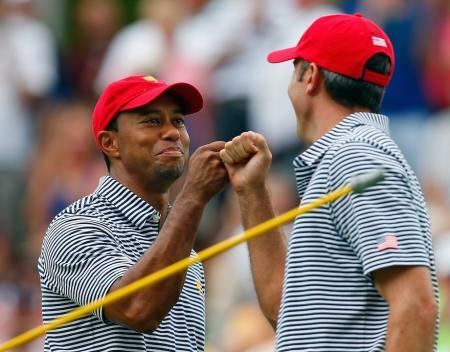 GolfPunk has teamed up with Shot Scope to offer our readers a unique offer. We have secured 200 Shot Scopes for £149.99 a pop, which is a saving of £35. But when they are gone, they're gone. 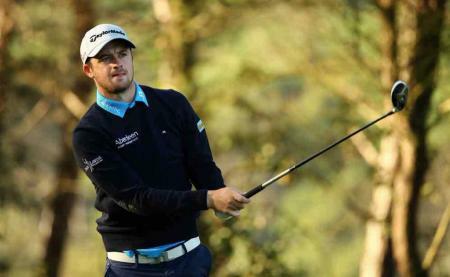 Golf performance tracking brand Shot Scope has received a grant from Scottish Enterprise for £500,000. Shot Scope has announced that both iOS and Android versions of the Shot Scope app are now available to download. 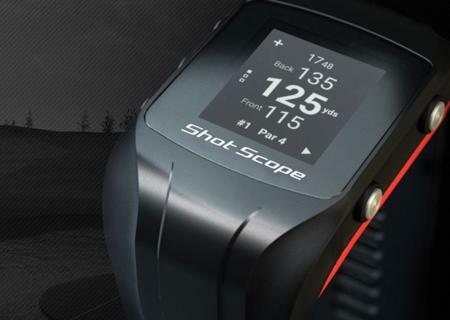 SHOT SCOPE TECHNOLOGIES has launched its second–generation golf wearable, Shot Scope V2. 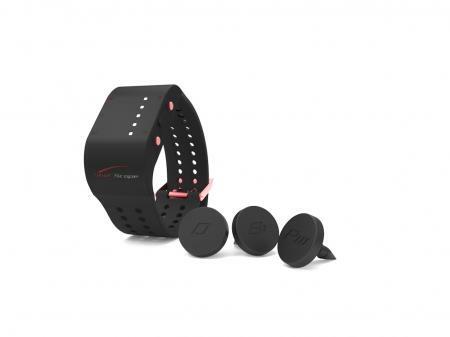 Shot tracking is the future of golf. 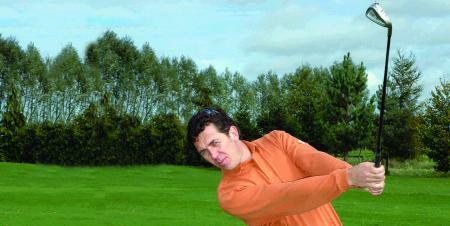 It's the only truly objective way of working out what you actually need to do to improve your game. 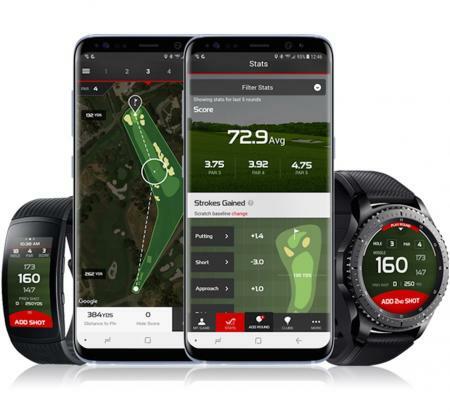 TaylorMade have teamed up with tech giants Samsung to bring it to their line of Smart Wearables, and it's free! 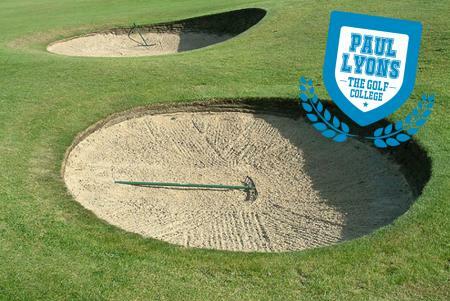 Here's a special Father's Day offer from GolfPunk. Get yourself 20% off a Shot Scope and treat yourself nice. 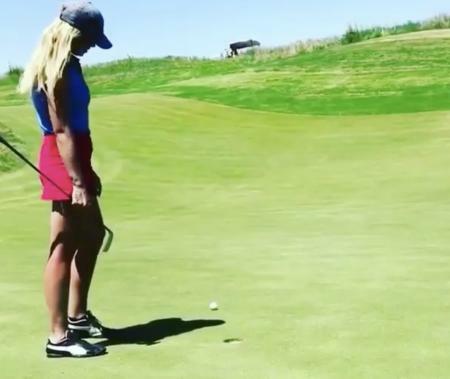 Paige Spiranac has posted a video on Instagram of a trick shot that went slightly wrong. Paige Spiranac has been up to her tricks again. 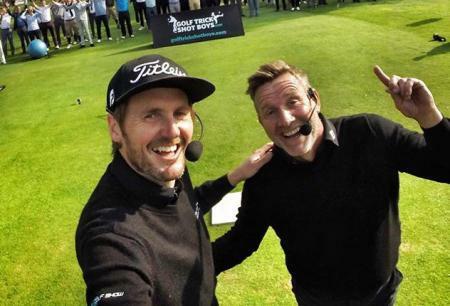 Let's catch up with the social media golf whizz!! 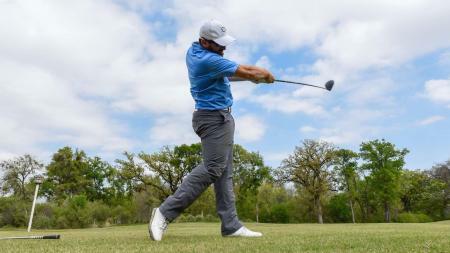 We've been doing our review of the year, and there were some great trick shots out there in 2017. 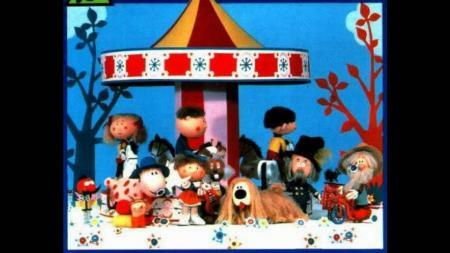 Here's our favourite. 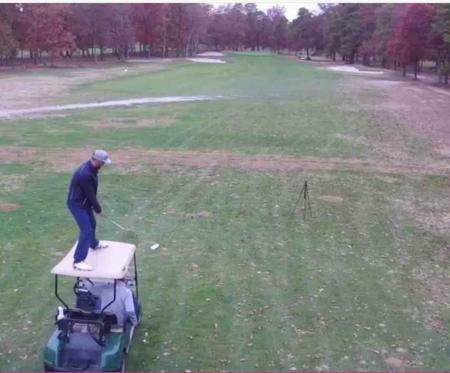 There are trick shots, and there are trick shots. This is a TRICK SHOT! 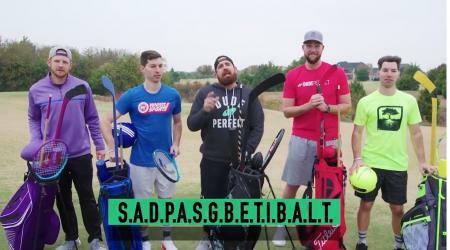 The trick shot team Dude Perfect have a new All Sports Golf Battle, which sees the crew attempt to play "golf" on a course with an array of different sports equipment. The results are mixed, to say the least. 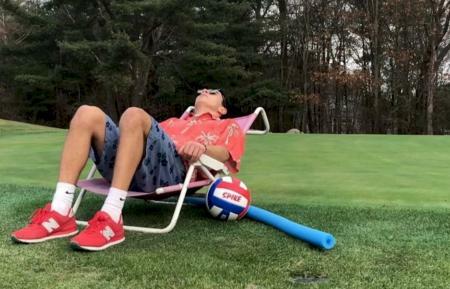 We love this totally nonchalant and laid back trick shot. It is the work of genius. Well, actually the work of one Kctrickshotz. 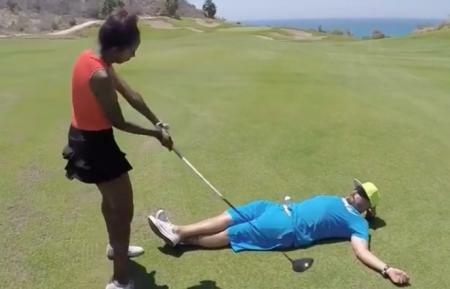 Some great trick shots from the San Diego Women's golf team. 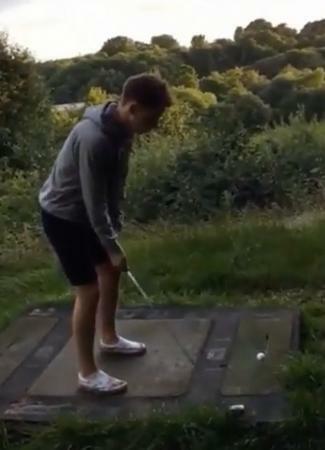 Is This The Most Insane Trick Shot Ever? 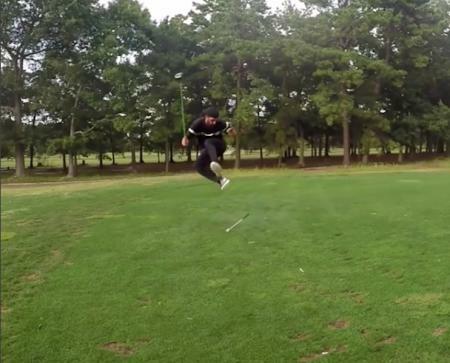 The most insane trick shot we've ever seen. The boys get in a tangle with each other's wedges but still manage to come up smiling!! Trick shot with a towel??!! We love the work of Trick Shot Queen Tania Tare at GP Towers, and here's her latest creation. Prepare to be impressed! 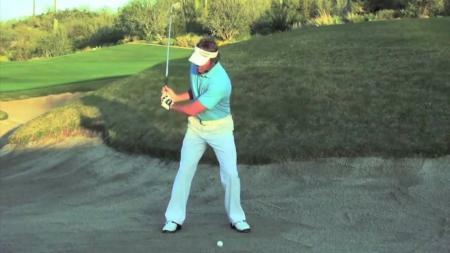 Here's a great little trick shot with a difference that's been doing the virtal rounds. 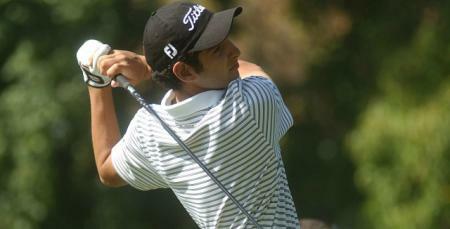 Call it a back to front hole in one! 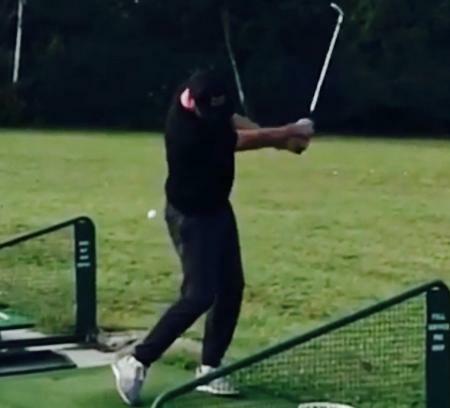 The Rory Foundation has announced the winner of their trick shot competition to secure a coverted place at this year's Irish Open Pro–Am. 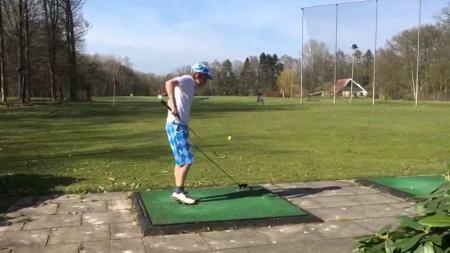 This is one fan–tastic trick shot! 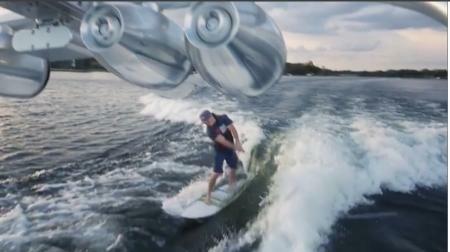 The timing had to be spot on, and we're wondering how many takes it actually took. Check out the video here. 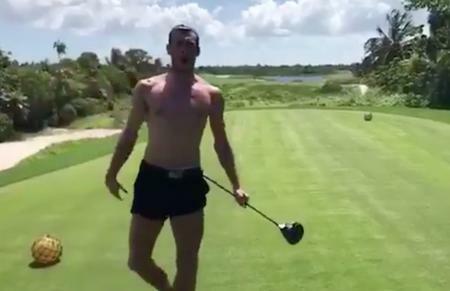 Gareth Bale has taken inspiration from #SB2K for this little trick shot offering. 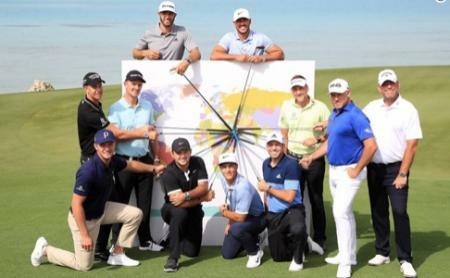 Is he angling for an invite to Baker's Bay with Rickie, Justin, Smylie and Jordan? 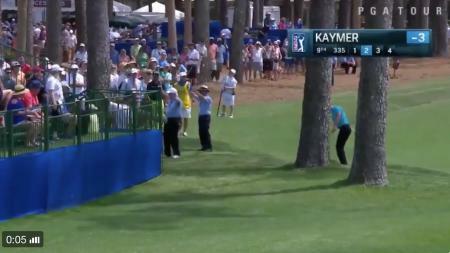 Martin Kaymer found himself badly out of position at the RBC Heritage, and resorted to a little golf shot trickery. But did it come off? 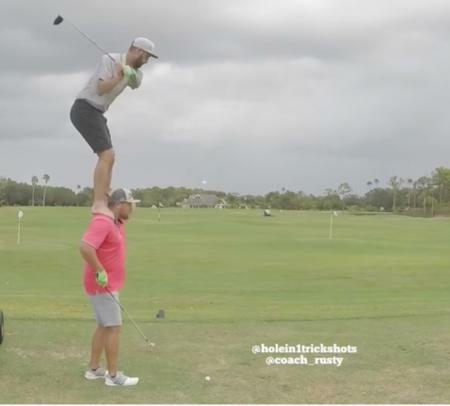 This trick shot video has come to us via Pinehurst and then Golf Digest, but it definitely needs to be shared. 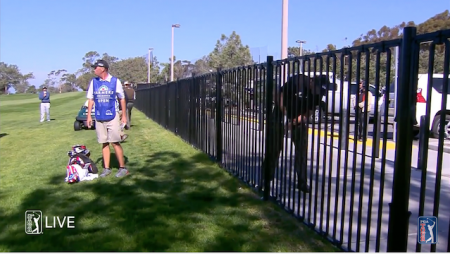 It's an instant classic in the accidental trick shot category. 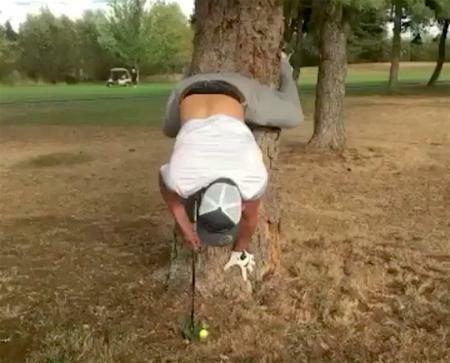 Here's a new trick shot that's blowing up the internet. It's performed by MinnKimm and shows her using a driver to demolish a whole rack of skittles in a bowling alley. 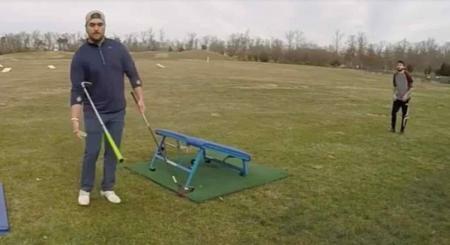 Here's an insanely good trick shot from Coach Rusty. And yes, it involves a wake board. Simplicity is sometimes the most glorious of sophistications and (What are you on about?! 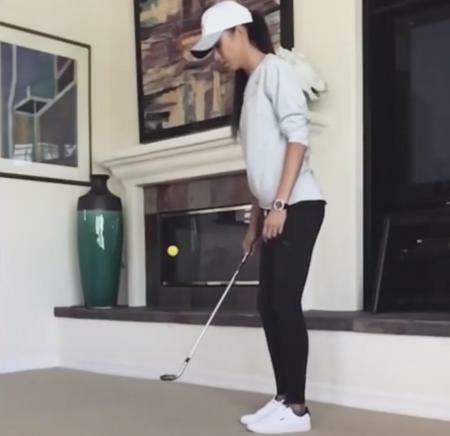 – Ed) and, anyway, this trick shot from Tania Tare really floated our boat here at GolfPunk Towers. 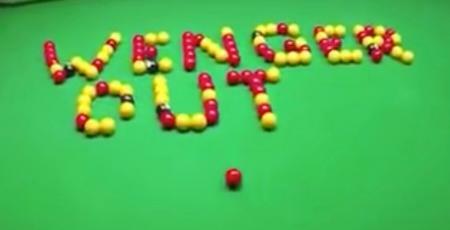 Here's the snooker meets golf trick shot that is burning down the internet. It's quite a piece of work, which is why it has already been watched over 1 million times. Enjoy and marvel! 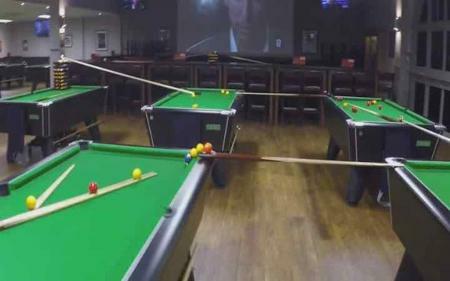 Here's a blinder of a golf trick shot – well, one where pool meets golf. You're going to love this! 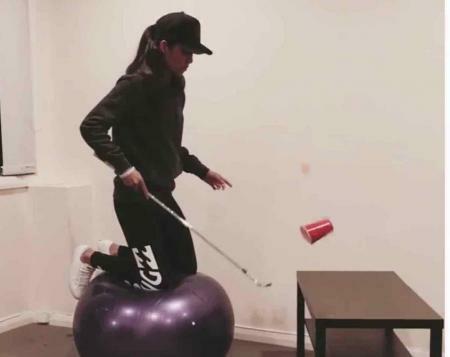 Tania Tare is the new trickshot queen on the block. We posted her Christmas tree trick shot yesterday, and here's what she describes as her hardest trick to date – Flipcup 2.0. Here's a very tidy trick shot for the festive period.Forget putting a fairy on top of the Christmas tree, when you adorn it with a golf ball. 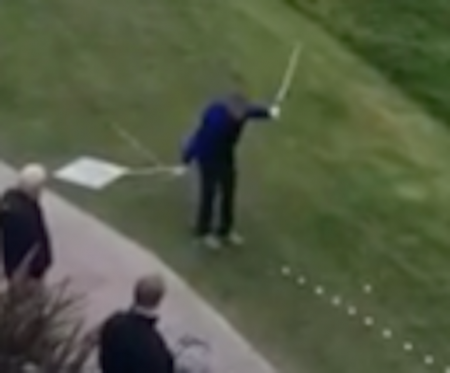 Here's an absolutley stunning trick shot, which is really pushing all the boundaries. We've never seen the like of it before and we doubt you will have either. Take it away Coach Rusty. Respect! 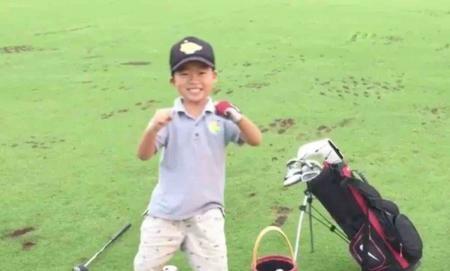 Young Blake Nakagawa has certainly being paying attention to the latest crazes in golf trick videos. 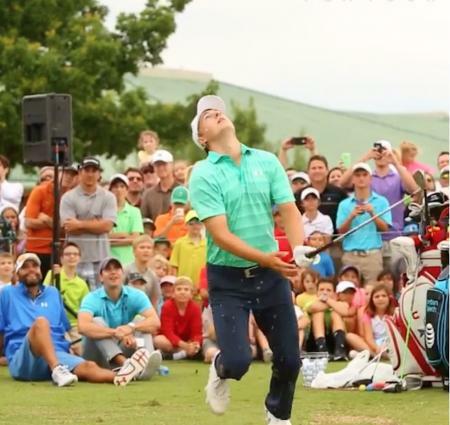 He has drawn inspiration both from the bottle flip challenge, and another video of a guy with a unique swing which has been burning down the internet. 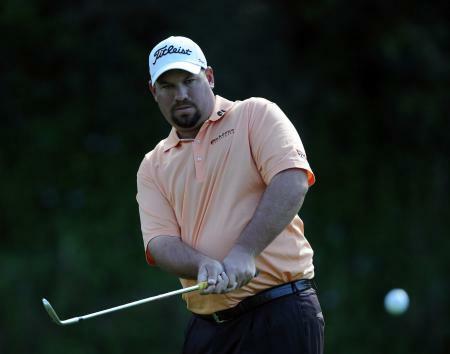 Ryan Rustand, or Coach Rusty as he’s known on Instagram, is a trick shot wizard. 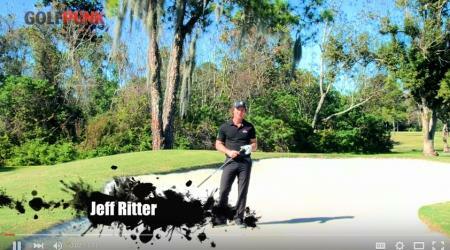 Here he is with Joshua Kelley, aka @holein1trickshots, knocking it about from the top of a golf cart. 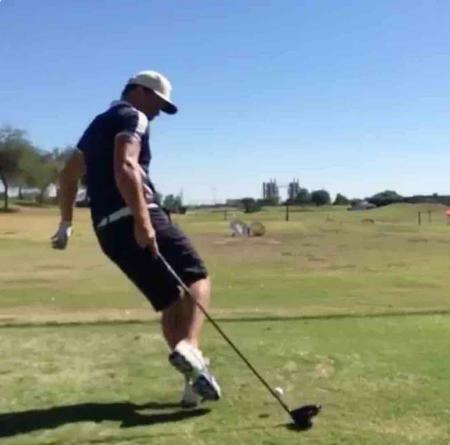 Wesley Bryan may have earned his PGA Tour card, but he still loves a good trick shot. 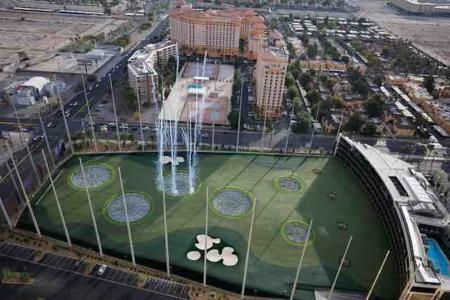 He and his brother George have been on top of the MGM Grand in Las Vegas, and here's what they have been up to. 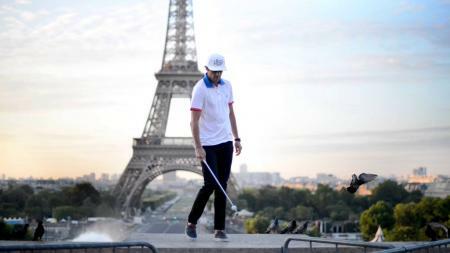 Here's an amazing trick shot that is going to blow up the internet. We've not seen anything quite like it before. It's a stunning bit of eye–hand co-ordination. 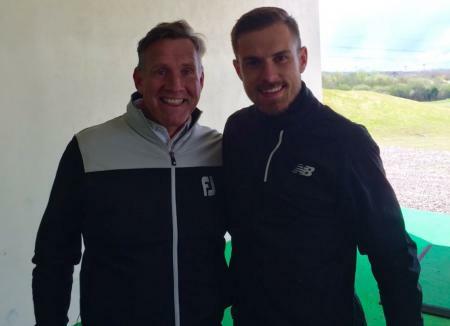 Here's a great bit of skill that combines golf and footie. 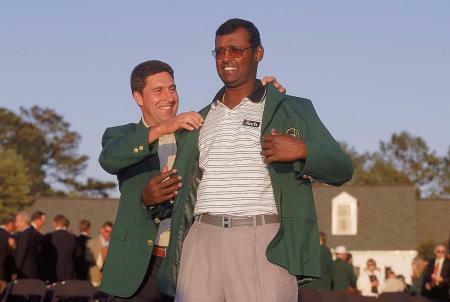 Pele meets Happy Gilmore if you like. 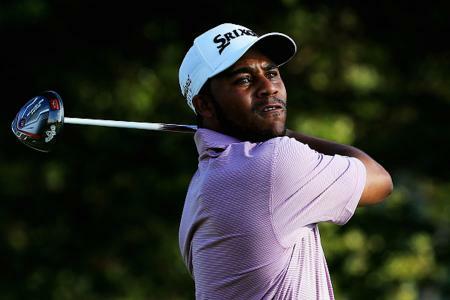 We know the Challenge Tour players are good - but are any of them good enough to nail a flopshot into a stack of Bridgestone tyres? FInd out here. 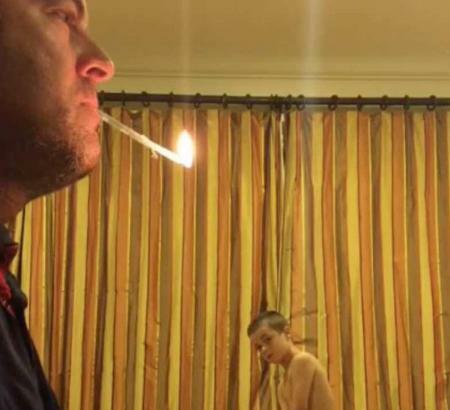 Here’s a very trusting father, who let’s his son fire a shot at him when holding a lit candle. Nice one son! 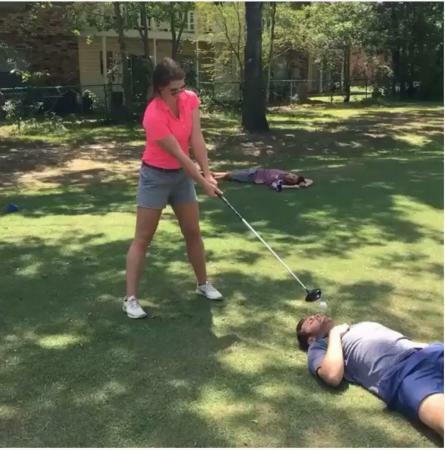 Here's an epic fail golf trick, which resulted in a broken nose. 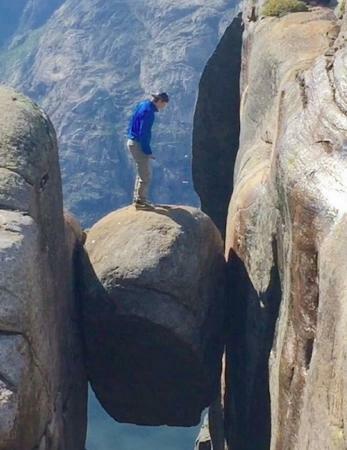 Do not try this one at home! 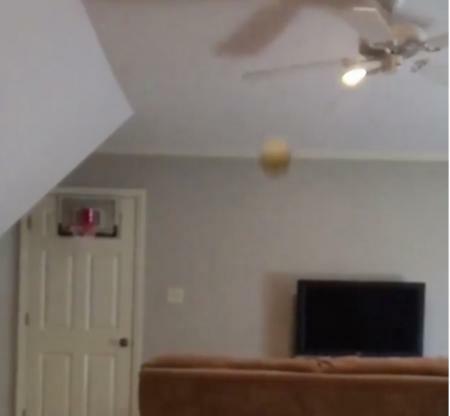 Check out this great golf trick shot with a ping pong ball hit down the stairs. 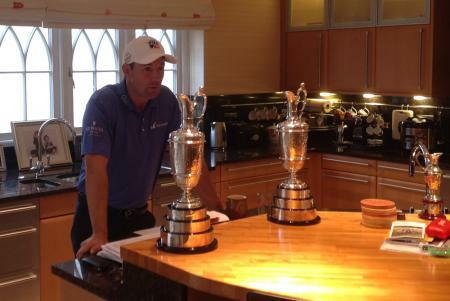 A trick shot with champagne? 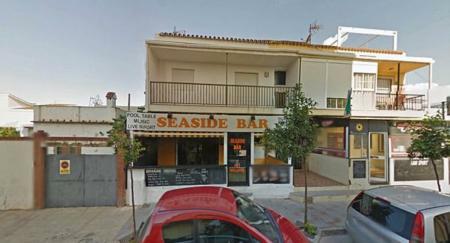 We're there! 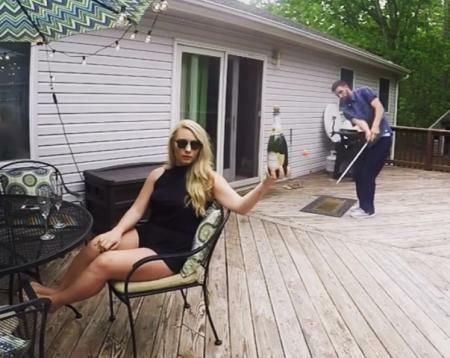 We've seen a few trick shots in our time, but when there's champagne involved, we like it. 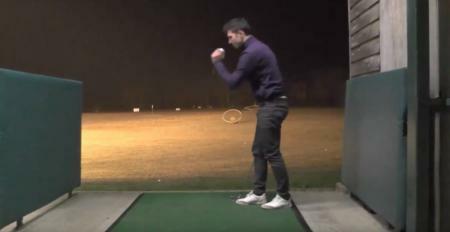 This kid does things with a golf ball you wouldn't believe! 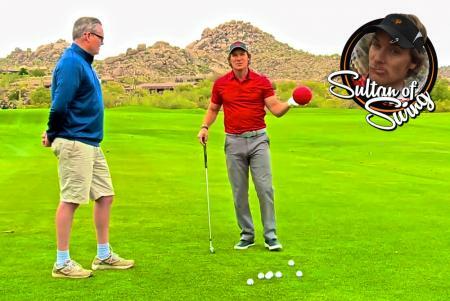 The Sultan of Swing Jeff Ritter is here to show you how to simplify your bunker swing and get you safely out every time. 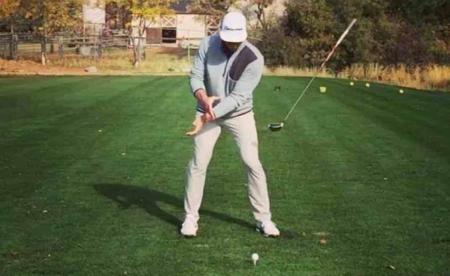 All you need to do is "fold and throw." 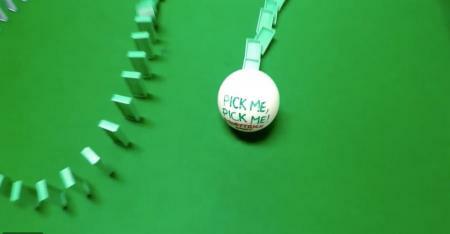 Check out this latest video from the team at Dude Perfect. 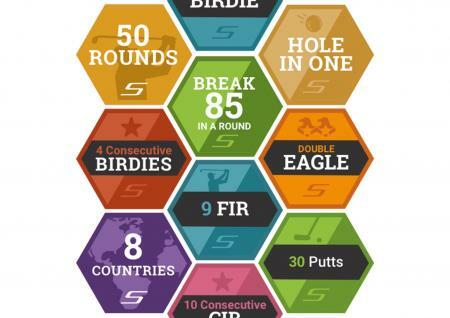 The boys get more than a little excited but if you hit some of these shots you would be too. 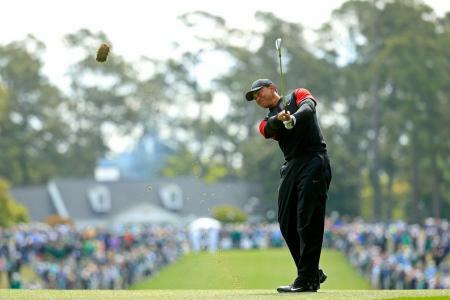 But we're well impressed with that opening trick shot, it's an absolute humdinger. 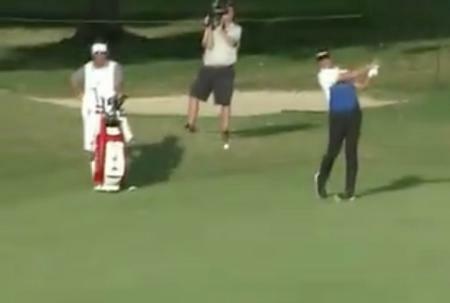 He doesn't only hit it miles, he's got a ridiculous short game. 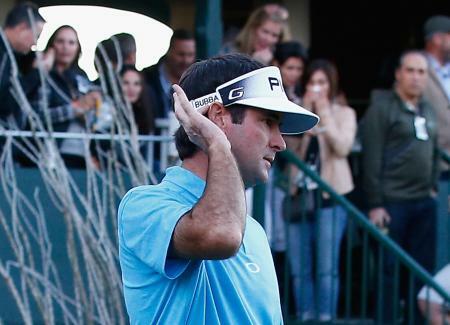 Bubba Watson pulls off an audacious greenside trick shot. 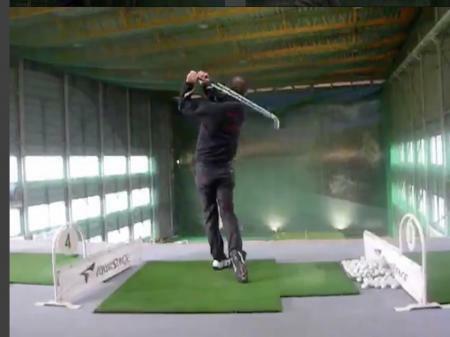 Check out this great trick shot video. 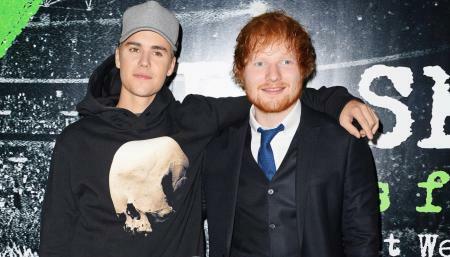 We are seriously impressed! 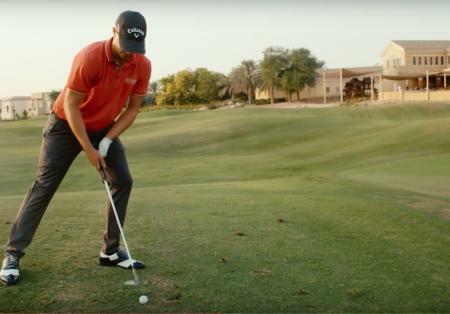 Trick shots and weird clubs with world record holder Marsten Maas, plus tips on how to improve your balance! 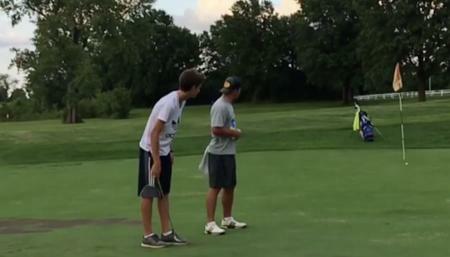 The Golf Trick Shot Boys in Slo-Mo!!! 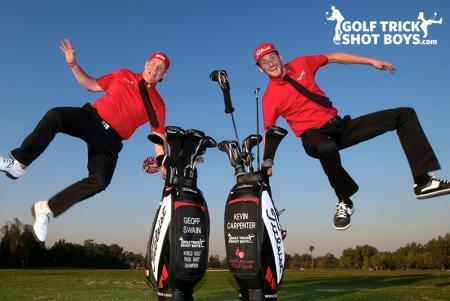 Our mates Geoff and Kev, the Golf Trick Shot Boys have made this video in Super Slow Mo. 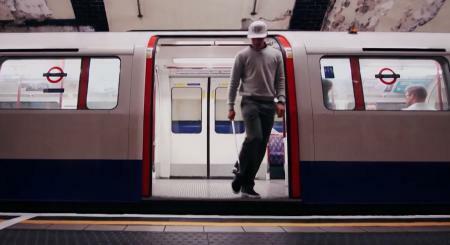 Try and figure out for yourselves how to hit some of these ridiculously good trick shots.